With over a million attorneys in the United States, choosing the best lawyer is difficult. 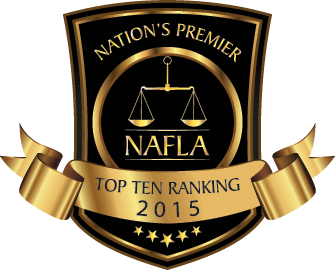 However, through a stringent selection process, the NAFLA awards the best family law attorneys in each state with our most prestigious honor of being named “TOP 10″. The very few attorneys (less than 1%) that are good enough to make our list have demonstrated an extraordinary amount of knowledge, skill, experience, expertise and success in their practice of family law. 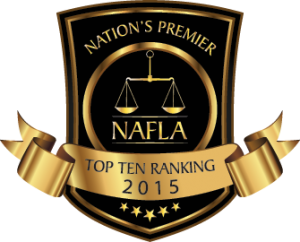 The attorneys that make our list have to first be nominated by a licensed practicing attorney. Second, our research staff verifies that they meet the minimum requirements of membership. Then they have to be one of 50 attorneys chosen to advance to the final selection stage by our processing committee. And, finally they have to be selected by our Board of Governors as the “TOP 10″. We know it is a tough process but we wouldn’t have it any other way.